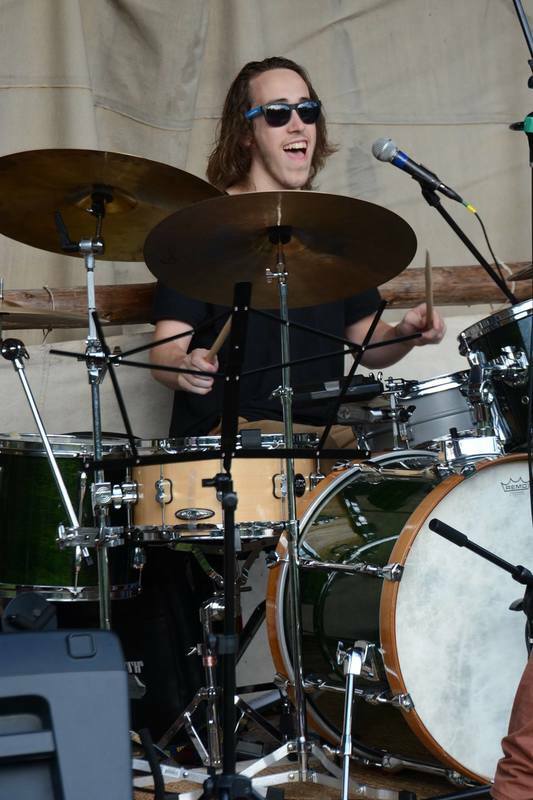 Alex is a young musician from Fryeburg, Maine who is well-known as a freelance drummer throughout the greater Portland and Mount Washington Valley music scenes. He started his musical career at 8 years of age, playing along to hits from the classic rock era. Since then Alex has devoted most of his time as a musician playing drums and percussion in various rock, jazz, folk, and classical settings. During his summers he spends time as a pit musician at Quisisana Resort in Lovell, Maine. In his early days he received instruction from jazz drummers Kevin Norton and Steve Grover. Being a former student in the highly regarded music program at Fryeburg Academy, Alex has had the honor of studying music under Mike Sakash and Mimi Rohlfing. Currently he is working toward a performance degree in jazz drums at the University of Southern Maine. There he is studying under the tutelage of drummer, Les Harris Jr. and classical percussionist, Nancy Smith. Alex’s playing experience includes performing and/or recording with Taylor O’Donnell, Mike Sakash, Jed Wilson, Gary Wittner, Chris Klaxton, Peter Herman, Mike Effenberger, Al Hospers and, of course, Junco. He has shared the stage with jazz phenoms Darmon Meader and Laurence Hobgood, and has also had the privilege of sitting in on a gig with famous New Orleans jazz trumpeter, James Andrews. In addition to music, Alex enjoys spending time with his family and getting outside to pass a frisbee around.